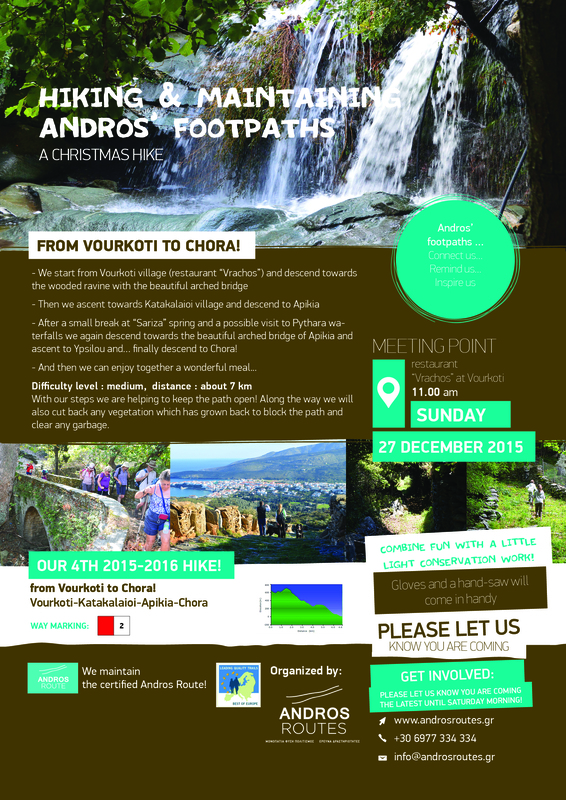 Join us once again on a Christmas hike to maintain the paths of Andros- from Vourkoti to Chora ! – After a small break at “Sariza” spring and a possible visit to Pythara waterfalls we again descend towards the beautiful arched bridge of Apikia and ascent to Ypsilou and… finally descend to Chora! We help to maintain part of the certified “Andros Route” ! Please let us know you are coming the latest until Saturday morning !